Tired of the same old Surface design from Microsoft? Well, a new report now points out that the 2019 Surface 2-in-1 will come with a complete redesign. According to ZDNet, the Surface Pro 6 will be "heavily redesigned." As per a report by the The Verge, the device is not expected to arrive until mid-2019, even though Microsoft is expected to announced a refreshed design for its 8th-generation processor lineup later this year. 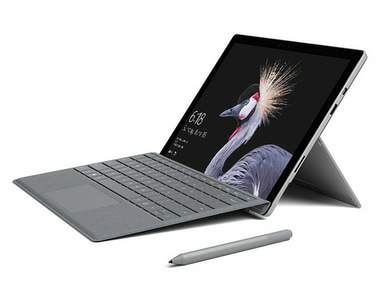 The Surface Pro 6, which according to thurrott.com goes by the name of 'Carmel', might be the same device arriving this fall with the latest chipsets from Intel. But for now, there is not confirmed report that these are one and the same. Also not confirmed, is the addition of USB-C ports on the upcoming device. Microsoft's switch to USB-C ports came when it introduced the Surface Book 2. ZDNet reports that Microsoft will in all probability keep the Surface Connector for another whole generation and is also working on a new Surface-branded headset that should look similar to the Jabra Evolve. Last we heard, a report from Bloomberg revealed that the software giant is also working on a $400 Surface tablet. This according to the publication would help it compete with devices like Google's Chromebooks and Apple iPads in the education sector. The unannounced devices are said to include 10-inch displays, USB-C ports and will also be 20-percent lighter than the existing tablets from Microsoft.